When it is a rainy season in Laos, there are plenty of fishes available at the market all over the country. In Pakse, many fresh fishes available at the market are also shipped to Vientiane, the capital city of Laos. During fish season, my relatives in Pakse often send the fishes that they caught from the Mekong River or bought from Dao Heuang New Pakse Market to the relatives in Vientiane via the overnight bus. My relatives love to make Larb Pa Tong (Lao Fish Tartare) around this time of year. They also enjoy eating Som Pa (Lao pickled fish) and other type of dishes using fish as the main ingredients. 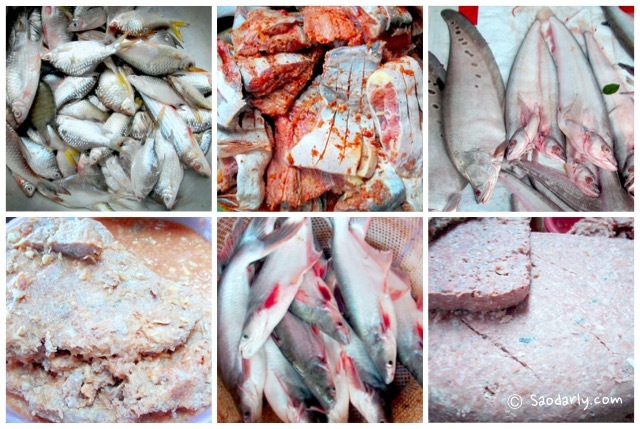 There are also plenty of dried fishes and fermented fishes during fish season.